Welcome to Lucky Lane Farm! We offer machine-washable lambskin rugs at $125 per rug. These rugs are prepared from our lambskins by a tanner in east-central Pennsylvania. The lambs will have five or six months’ growth (several inches) of fleece on them at the time the hides are tanned, making our rugs very cozy as bedside rugs or as chair warmers. Please contact us to make arrangements in advance, as we do not maintain an inventory; lambskins are only harvested when lambs are sent to the butcher. 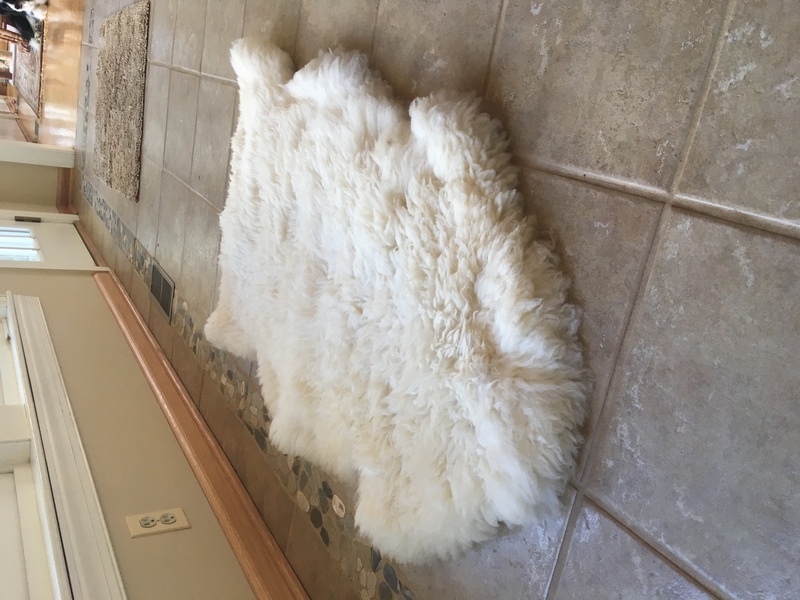 Lambskin rugs require approximately two months from the time they’re dropped off until the time tanning has been completed, so plan early if you wish a Christmas present for someone. 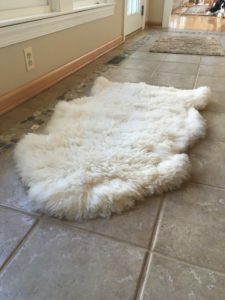 Information on how to launder sheepskin rugs is available here; please read carefully before laundering your own rugs! If you’re worried about their felting, you can always return them to the tannery, who will launder them for you for a $10 charge. I travel to the tannery once per year (in December), and would be happy to drop off your rug for cleaning at that time.